The only switch accessible water blaster available anywhere! Get ready for the ultimate action packed water fight. 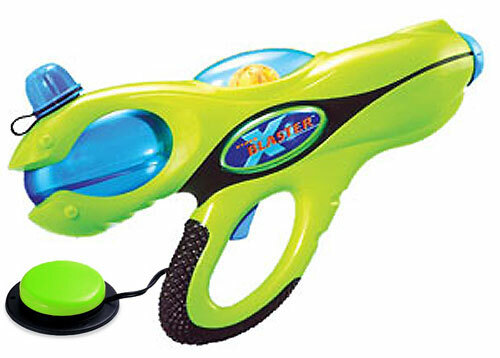 Feel the power of this super charged motorised water blaster as you fire the high velocity electric hydro pump, using a single accessibility switch. There is no end to the water shooting action with it's extra large water reservoir and constant stream of water that reaches even the farthest of targets. Activate using the trigger or a plug-in accessibility switch. Great fun Cause and Effect device, compatible with most accessibility switches. Constant stream of water whilst the switch is held. Choice of three colours: Red, Green or Blue. Green accessibility switch is not included. Do it Yourself - Adapt your own switch operated Water Blaster.